The visible surfaces of your teeth take a lot of abuse over the years. Eventually, you may need a dental crown or two to cover, stabilize, and protect your damaged teeth. Dental crowns are permanent coverings that your dentist places over your natural teeth to keep them functional and attractive. You can choose from various types of dental crowns based on your needs and personal tastes; you may prefer durable gold crowns or natural-looking ceramic crowns. All types can be effective solutions for serious tooth problems. Here are the six most common reasons patients need dental crowns. 1. One of your teeth has a large filling. If your tooth has a fracture or filled cavity that covers half its width or more, it is vulnerable to fracture and should be crowned. Crowns can also repair teeth with older fillings that show signs of stress or instability. 2. You’ve undergone a root canal treatment. A root canal treatment leaves your tooth hollow and predisposes it to fractures. All root canals should be restored with a crown immediately. 3. You suffer from cracked tooth syndrome. Internal fractures can cause tooth pain when chewing. A crown holds the tooth together and prevents pain by redistributing mechanical stress throughout the tooth. In many cases, a crown can effectively relieve symptoms and restore normal function. 4. You have a tooth with a broken cusp. Trauma and large fillings may cause cusps to break. To prevent further damage to the tooth, a dental crown should be placed. 5. You’re not happy with the look of your teeth. Crowns can restore a healthy, natural appearance to teeth that are discolored, misshapen, or disproportionate in size. 6. You have missing teeth. Placing a crown is the final step in a tooth implant procedure. Crowns can also be used in the construction of dental bridges. 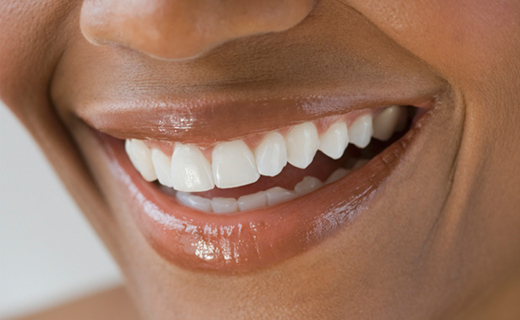 Your dentist can determine the best types of dental crowns for your teeth. Make an appointment today, and enjoy fully restored, beautiful, and functional crowned teeth for the next 10 to 20 years.